For the first time in the GAGA competition, we included an award to the project that received the highest number of votes from construction industry professionals. The situation changed from one day to another during voting, but the final winning project was Hull Pavillion by Pezo von Ellrichshausen. 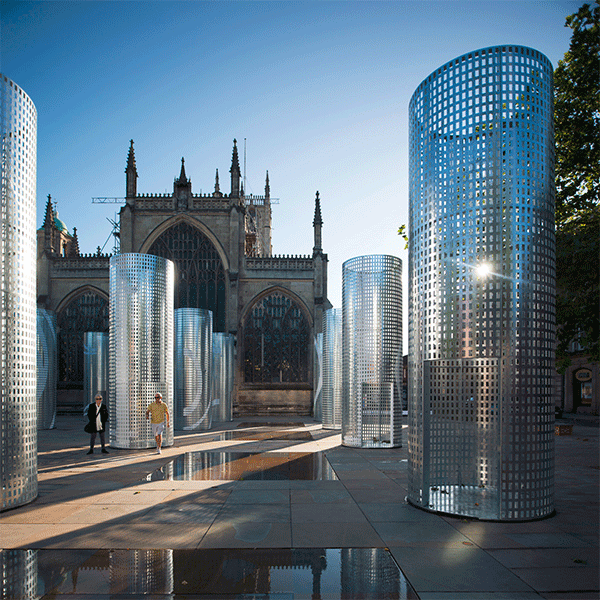 The temporary installation created by sixteen galvanized steel columns is a joint commision by Hull 2017 and RIBA, allowing visitors to inhibit each of the 6 m high columns to experience varying light conditions created by perforations in the steel skin. The sculpture was part of ‘Look Up’ – a Hull 2017 curated programme of temporary installations in public places and spaces around the city.